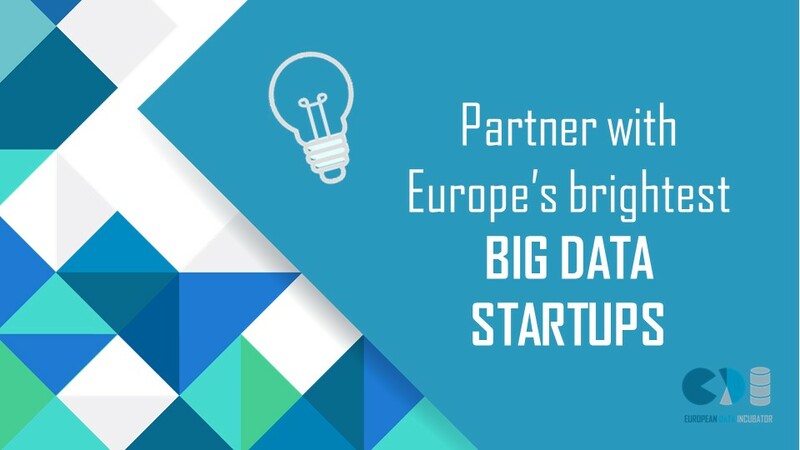 The European Data Incubator (EDI) is looking to partner with large corporates and SMEs, from any sector, with unique big data challenges. Whether you need to analyse large amounts of data, increase efficiency or step into a new realm of business, the innovative minds behind these startups can help. It gives the large corporates and SMEs the chance to partner with the ‘up-and-coming’ Big Data startups of today to bring fresh perspectives to their data challenges. These hand-picked startups are the brightest in their sectors and have demonstrated unique ways of looking at real data challenges. EDI’s method of acceleration takes the startups through three intense phases of growth to accelerate their solutions to your data problems over eight months, always taking into consideration your input. Previous challenges set by major corporates include improving road safety in Barcelona, predicting fraudulent transactions, and identifying patterns in digital campaigns. Large names like Volkswagen Navarra, RACC motoring club and the multinational Sonae have taken part. What is expected from your side? Apply now here (NEW extended deadline Tuesday 15th January).